Since 2006, I've been building websites, software, and online businesses, which amounts to almost half of my entire life. I've succeeded in helping companies large and small plan, design, and develop software solutions that generate tangible business value. I'm currently seeking opportunities to work with great people on meaningful projects. I am self-driven, efficient, and ruthlessly committed to improving the world through technology. Let's build a new future together. Greenfield software is always simple, but software becomes complex when ideas mature and decisions have been made. Practicing ruthlessly agile processes will ensure success in every project. Design Patterns - Experienced applying software patterns. GoF: Singleton, Decorator, Builder, Interpretor, etc. Data Design - Experienced in querying, designing, refactoring databases. Postgres, MySQL, SQLite. Paradigms - Experienced programming across most common paradigms: OOP, FP, POP, MVC, MVVM, etc. Documentation - Experienced working in large projects and documenting work. Generating docs, comments, etc. Polyglot - Systematic approach to learning new languages, frameworks, and programming tools. Styleguides - Have used and implemented styleguides across multiples projects and languages. Project Scoping - Very comfortable translating ideas from the client into deadlines, milestones, and budgets. User Stories - Effectively translate, score, and manage technical requirements as user stories. Source Control - Very experience implementing team-wide collaboration through source control, primarily git. A fantastic language for the web, scripting, and rapid development. Most people see Ruby and Rails as one and the same. Even more, most developers see Ruby as a tool for the web, but it's so much more. Since 2012, I've been using Ruby for web development, automation, research, and fun. Rails 5 - 5+ years in rails, experience with new middleware: ActionCable, ActiveStorage, API mode. Rails API - Rapid and methodical approach to building well-tested APIs on Rails. API-mode + Legacy. Rails Legacy - Production experience refactoring Rails 3+. Systematic, unit-test driven refactoring. Active Record - Vast experience using Active Record and raw SQL to improve database performance. Performance - Refactored and improved n+1 queries, memory leaks, excessive locks, and more in Rails. Users - Advanced user features like oauth, roles, relationships, suggestions, messaging, analytics and more. Tests - Extreme programming philosophy to ruby software, TDD with user acceptance tests. Gems - Built multiple gems for variety of uses: CLIs, mixins, decorators, more. Jobs - Implemented sidekiq, resque, active job for scheduled and async jobs. Ruby Ops - Used ruby alongside Docker, Chef, and others to automate server management. Plain Ruby - Have used ruby many places outside rails: mruby, rpi, arduino. The king of the browser, and much more. JS is wildly useful language. React - Vast production experience with React: PropTypes, Flow, Jest, Component lifecycle. React Native - Experienced planning and implementing entire apps in React Native, including cloud APIs. Redux - Comfortable working in very complex state trees, and designing them from the ground up. Server Rendering - Used SSR to increase SEO compatibility and tweak performance. Tests - Huge fan of React test ecosystem. Jest (snapshots), mocha, chai, enzyme, etc. Express - APIs backed by Mongo, Postgres, MySQL, etc. Used common middleware. Plain JS - Experience in old-school js, including browser tricks, jquery (meh), addChild. Deployments and continuous integration should 'just work', and I love the automation. I've contributed to a wide variety of deployment and continuous integration processes. Familiar with deploying monolithic, client-server, single page applications. Experienced implementing scalable infratructure on AWS, optimized for efficiency with cost. AWS - Vast experience with AWS: forecasting, architecture, autoscaling, failover, more. Docker - Experienced provisioning docker environments and deploying them to AWS. Messaging - Implemented messaging (RabbitMQ, SQS, mqtt) for performance and decoupling. CI Tools - Production deploys with Jenkins, Travis-CI, Cloudformation. Working experience with Chef, Puppet. Microservices - Huge fan of microservices for maintainability: AWS labmda, bespoke services. Very comfortable on UNIX/POSIX filesystems. Scripter, Vimmer, shells. I belive there's something elegant in utter simplicity. Some call it brutalism, I call it efficiency. In the world of computers, that's the terminal. Understanding the terminal and underlying filesystem is a core concept of writing software. Bash/Zsh - Comfortable working in all shells, very experienced with zsh and bash. Vim - Very passionate vim user, 7+ years experience. Bashscript - Always use scripts to automate systems administration. Applescript - Automated several processes in Mac OSX via applescript. Sysadmin - Experience in sysadmin role: users, groups, sudoers, and managing access. Mac OSX - Built and distributed desktop applications for Mac OSX. Ubuntu - Ubuntu is my Linux flavor of choice. Comfortable in all Linux distros. QT - Basic experience building sandbox apps with QT creator. Joined team at Bowtie Fall of 2016 as VP of Engineering. Inherited large code base and took responsibility for bugs, patches, and features. Helped lay down the technical foundation and development culture for Bowtie Agency and new hires. Software & Open Source for IoT, AR/VR, and iOS/OSX. 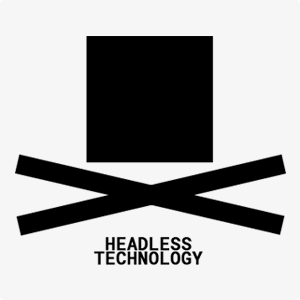 headless technology focuses on building software for bleeding-edge technologies, like augmented reality, virtual reality, and iot/constrained devices. HIPAA compliant credentialing software for nurses with CE certifications. Managed team of 6 engineers, including sourcing, hiring, and onboarding them to the project. Ruby on Rails was used as a 'service-bridge' to unify multiple online services. Hellosign was closely integrated with system to streamline paperwork. I presented the live software demo to 80 healthcare professionals in 2015. Solved unique workflow problems in product fufillment. K-IDS BMV collects personal identity information from parents, about their kids, and prints a safe child ID card with their allergies and doctor information. I built a secure, performant online tool for selling their product online, and completely automated the export process so they could print their IDs in bulk. I was the sole developer for two iterations of this product. I helped to plan, design, and develop a custom Multi-Level Marketing membership platform. It was an interesting data challenge due to the infinite levels of recursion. Core user functionalities profiles, avatars, customer membership data, and paypal recurring payments (annual). Select Equipment is an industry-leading provider of new/used electrical equipment. I built a custom API integration to Bigcommerce that allowed them to sync their online inventory with their archaic POS system. Online inventory was updated in 'real-time' as technicians fixed and updated equipment on the factory floor. UWC is the consultancy I ran from 2012-2016. Deployed dozens of websites and web apps, and subsequently grew the business into 2 offices in Denver/Indianapolis.